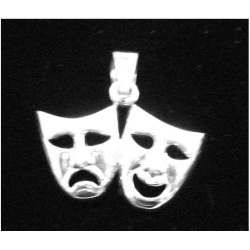 Comedy and tragedy mask pendant that can be attached to any necklace. Pendant measures 3/4" high and 1" wide. Made of sterling silver.